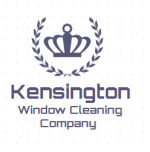 Kensington window cleaners are traditional high end window cleaners for cleaning Houses and Mansions inside and out. We also use Pure water to clean high Level windows and conservatory roofs for jobs like Schools, Hospitals and commercial window cleaning in Kensington, Chelsea, Notting Hill and Fulham. We use the very best world lightest sturdiest poles made here in UK from Carbon fibre. Seamus also has 18 years abseiling experience however has for the last 10 years only used abseiling equipment for daily safety, high level cleaning is now provided up to 80 ft indoor and outdoor cleaning by poles using Pure water brushes outside and Pure water Pads on the inside of windows. By using our high level Commercial Window Cleaning purification system (Reach & Wash), we can Clean your businesses windows and frames up to a maximum height of 80 feet (5-6 floors) from ground level in Central London, this method of carrying out window cleaning services is safer for our window cleaners and considerably more cost-effective for your home or business, it also gives the paintwork a good wash down and can clean the basement nice and fresh. So just text your address to me on 07495 385752, so i will send you a free quote and if your happy with price we can confirm a day and time that is convenient, I charge 40 pounds an hour for traditional and 55 pounds an hour for Pure water cleaning, there is no VAT and you only get the Boss! Professional window cleaners with the latest technology in window cleaning, enabling us to clean all windows, conservatories, glass extensions, sky lights and any other glazing internal or external. We also have an amazing carpet/upholstery cleaning division so we can keep your home/office sparling both inside and out.